“Are you alone, sir? You have a huge room”. This is what the hotel manager of Century Langkasuka Resort told me when he was assisting the front desk to process my room reservation. He was probably thinking why I booked a large room when I was just alone. A friend was supposed to join me on the second part of my vacation in Langkawi. Unfortunately, she wasn’t able to come because of health reason. My friend just decided to stay home and had some rest. I was left alone for the rest of the trip. That was fine with me to be honest. I was still able to enjoy my vacation. I did some island activities and joined some organized tours. And the best part was staying at Century Langkasuka Resort. 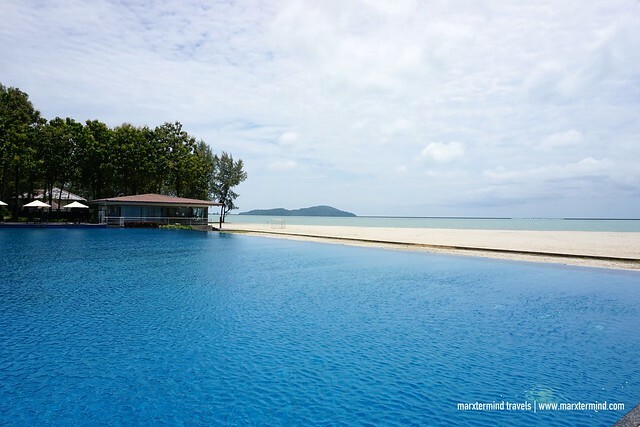 Set on a private beach overlooking the Strait of Malacca, I spent the second half of my Langkawi trip at Century Langkasuka Resort. 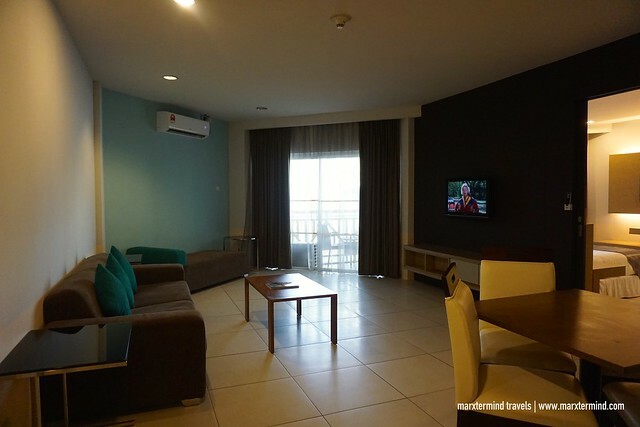 It is a great choice for accommodation when visiting Langkawi. The resort features spacious and comfortable rooms and excellent amenities. It also has a nice location near the airport and just about 10 minutes drive to the city center. Staff of the resort was also all helpful and friendly giving me a more pleasant stay. 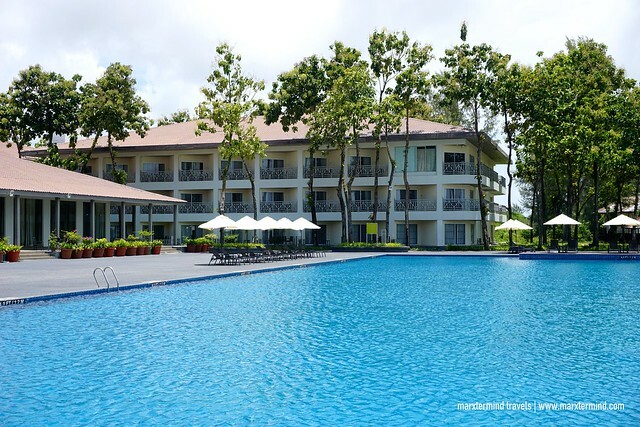 Century Langkasuka Resort offers 5 types of accommodation; namely, Comfort Room, Junior Suite, Premier Deluxe, Partial Sea View Room and Premier Suite. You may check this link for room rate and availability. Mine was a Comfort Room. 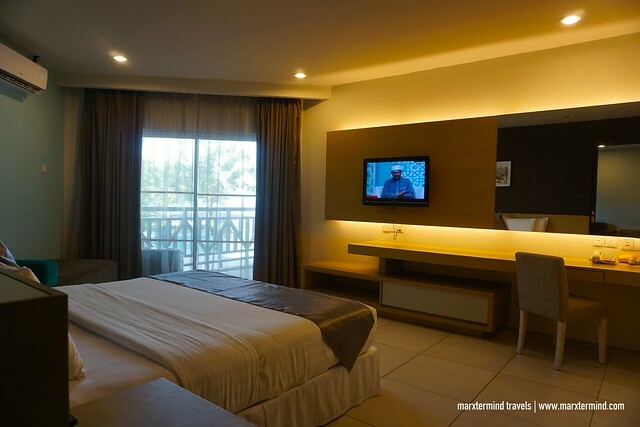 If my room in its sister hotel, Century Langkawi Beach Resort, was already big, the room here at Century Langkasuka Resort was very huge. It was roomy that it can actually fit my whole family. The Comfort Room comes with a separate living area, a kitchenette, bedroom and bathroom and toilet. The room for me actually looks like more of a serviced apartment. It was equipped with all the basic amenities. The room has cable TV, one in the living and the other one in the bedroom. It also has mini-refrigerator and coffee and tea making facilities. There’s also a seating area and dining table. Inside the bedroom, there’s a queen bed and a sofa bed. A work desk and cabinet are also provided. The bathroom was also huge. 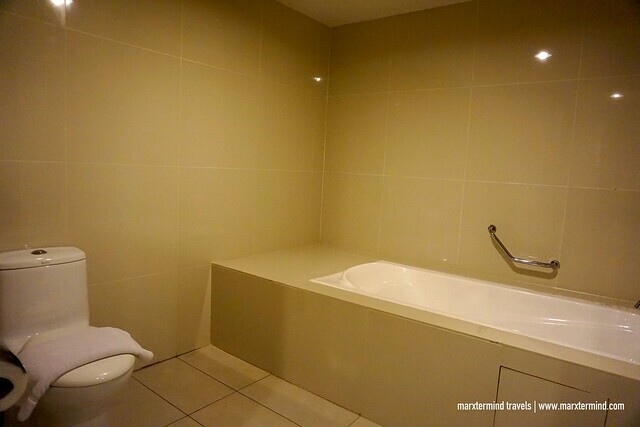 It has a bathtub and separate areas for shower and toilet. The room also has two balconies. One is on the living room and the other one is on the bedroom. These balconies offer a breathtaking view of the infinity pool and the sea. 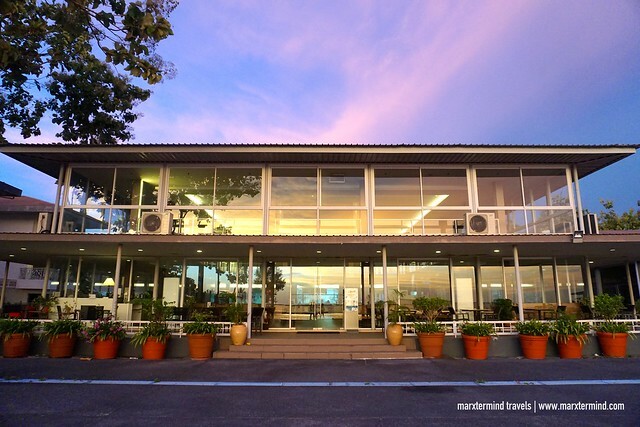 Century Langkasuka Resort also has a number of facilities that guests can enjoy. The resort has its own restaurant and fitness center. 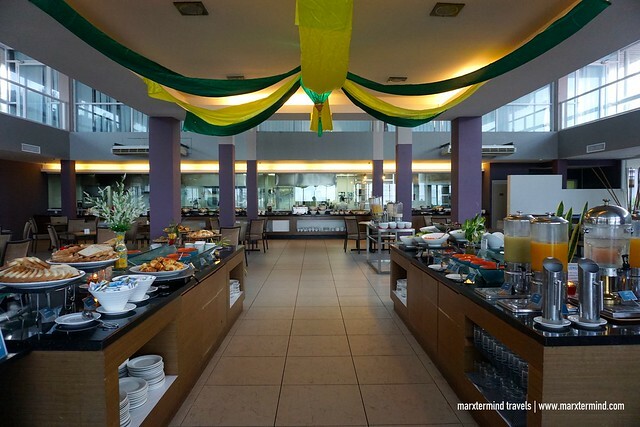 The restaurant serves breakfast, snacks and à la carte options for lunch and dinner. Breakfast was in buffet style. It is complimentary for all registered hotel guests. The buffet spread consists of local and Asian favorites. There were also noodles, salad, pastries, breads, cereals, soup, fruits and some beverages. But what was truly the highlight here is the lovely infinity pool. It’s by the beach offering an awesome sea view. The infinity pool is also an excellent place to cool off and have amazing sunset views. 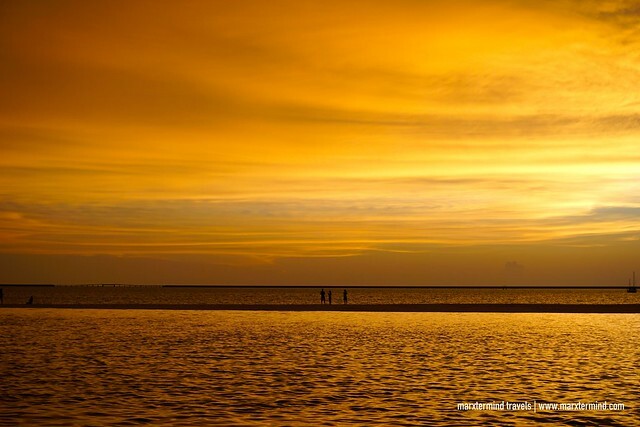 This 4-star property also has a private beach perfect for recreational activities. There’s also a kids’ club and a convenience store. The resort also has a concierge and a tour desk for your travel needs. Wi-Fi network is also available in public areas and inside the room. Access is provided for free. It was easy for me to love Century Langkasuka Resort. I like my accommodation, which has a generous space. The bed was cozy. The entire room was also clean. The lovely infinity pool was also a standout here. 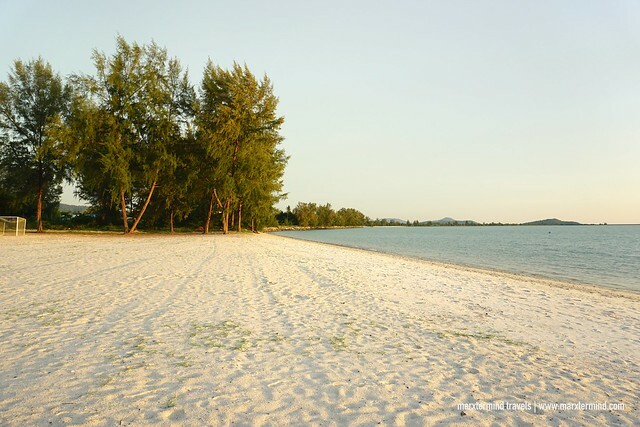 It’s a perfect spot to unwind after a day of touring around Langkawi. 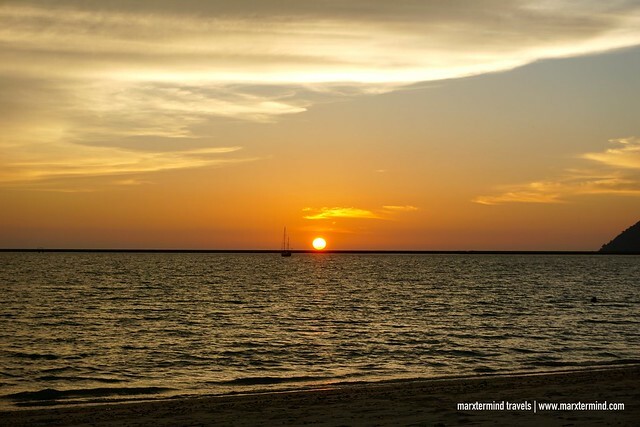 The resort provided me comfort that made me had a relaxed and pleasant stay for three days. Century Langkasuka Resort is a beachfront resort in Langkawi. 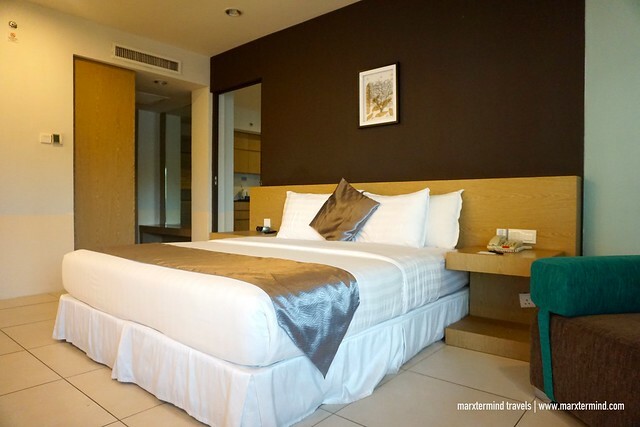 It features large rooms and excellent facilities giving guests hassle-free stay. It is located near the airport. The resort also has a convenient location offering an easy access to the city’s must-see attractions.